There are some newer metal frames that allow storage underneath that I often get asked about as well. And I’m skeptical about these, even though they are sold as compatible with memory foam mattresses, since the metal framing that the mattress sits on has such thin metal pieces (the metal “slats). While they have fabric that then goes on this metal structure, I am concerned that this still doesn’t provide that firm a base for the mattress, and also that over time the thin metal frame pieces may dig into the foam even through the fabric cover. Online, you can find slatted foundations, or ones that use a slatted top with a thin covering, at a few stores. Ones that will work well with the mattress, are EZ Sleep or EZ Fit Foundations (I like the EZ Sleep a bit better in terms of its construction), and the Semi-Fold Foundation (from Leggett and Platt). 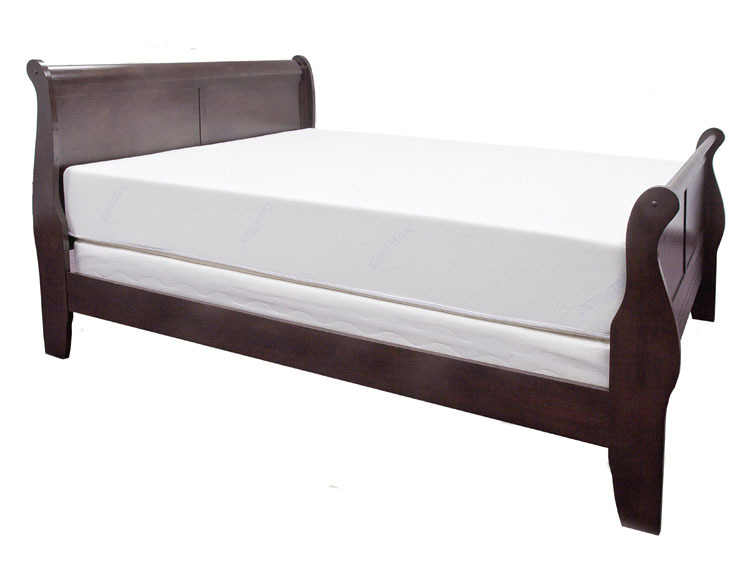 Next Next post: Latex Mattress or Memory Foam Mattress: Which is the Best Choice?